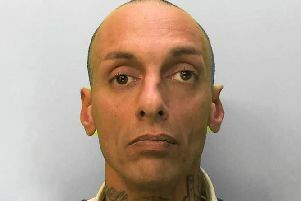 FOUR men are being sought by Sussex Police over more than 200 burglaries across the Midhurst and Petworth area after they failed to answer bail. A police spokesman said: “A 24-year-old man from Sidcup in Greater London, a 29-year-old man from South Ockendon in Essex, a 20-year-old man from Billingshurst in West Sussex and a 16-year-old boy from Reigate, failed to answer to their police bail on February 21 and enquiries are being made to trace and arrest them. Homes in Midhurst, Petworth and Chichester were targeted by the group. Properties across Kent, Surrey, Sussex and south London were also targeted over the past four months, police said. Cash, jewellery and electrical items were stolen in the break-ins. Officers from across the region were initially alerted on January 13 after a home in Heathfield Park, Midhurst, was burgled.